This dish represents the Chinese influence on Peruvian cuisine. Lomo Saltado is best explained as a Peruvian stir fry, normally cooked with savory beef and sautéed veggies, such as bell peppers and onions. Add a little soy sauce for taste and then place everything on top of a bed of… wait for it… french fries! How can you argue with french fries? Especially when Peru has been perfecting all things potato since 1400 CE? If I had to compare this dish to another, I would say it resembles a curry because of its thick consistency and spice. Its primary and European influenced ingredient is the aji. This sauce was introduced to Peruvian cuisine by the Spaniards and has become a huge part of most Peruvian dishes. The basic aji sauce is made by mixing together tomatoes, aji peppers, cilantro, onions, but many dishes, like Aji de Gallina, add a little flare to the sauce to make it even more amazing. In this case, the sauce is cooked with aji, condensed milk, and bread to create thickness before adding in some chicken. Cook all of those ingredients together and ‘ta-da!’ you have the ultimate Peruvian stew. Peru, like many coastal regions of the world, is a heaven for all seafood lovers. The most popular dish, which can be found in most Central and South American countries, is ceviche. Ceviche, at its core, is raw seafood with the juice of a lime and lemon squeezed on top. The acid from these two citrus fruits cooks the raw seafood. What sets the Peruvian ceviche apart from other recipes are the ingredients that accompany the seafood and citrus juice. In Peru, you will find the citrus marinated seafood accompanied with sweet potatoes (can’t forget about those potatoes) and kernels of maize, or corn. If you’re a seafood lover, this dish is most definitely for you. It is undeniably a Peruvian favorite and is sometimes regarded as the national dish. I couldn’t end my list without a dessert! I happen to be a huge sweets person and the alfajor is definitely one of my favorite, yet rarely eaten, desserts. It’s pretty hard to find alfajores in the States, but in Peru the options are endless when it comes to these little cookie sandwiches of joy. 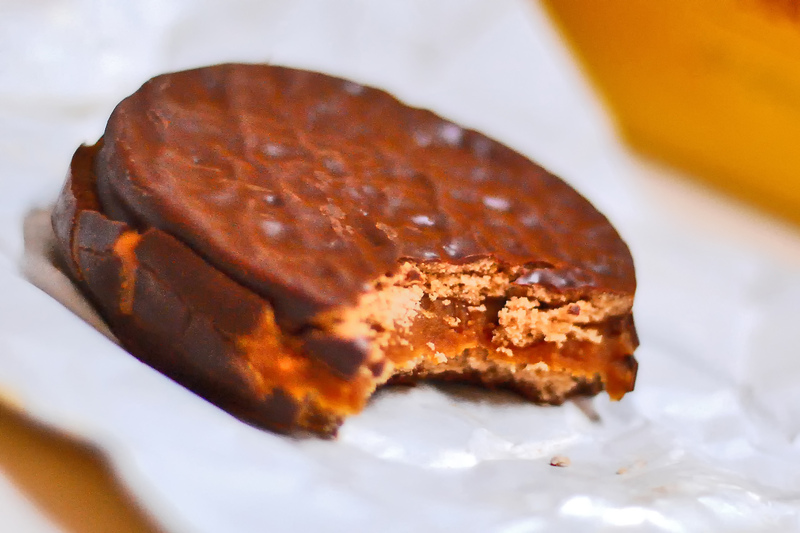 The alfajor is made with two very light, buttery cookies and filled with manjarblanco, or dulce de leche. You’re probably wondering, “Why don’t you just say dulce de leche?” Well, the answer to that is simple. Dulce de leche is easy to find outside of South America, but manjarblanco isn’t and believe me, thats the stuff you want. I believe that no meal is complete without a dessert so, with that logic in mind, don’t forget to treat yourself to an alfajor in Peru!